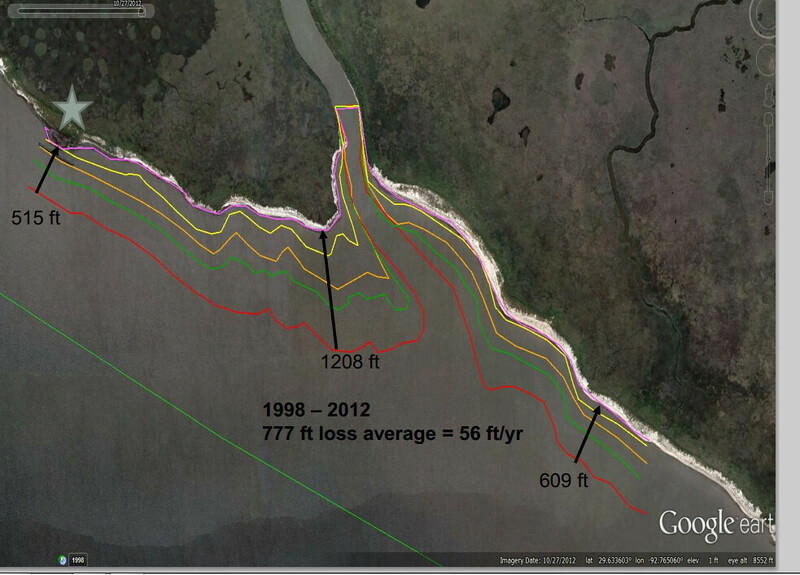 How Can Wetland Loss be Represented Over Iterations of Shoreline Measurements? Philip Trosclair's graphic showing mulitple iterations of shoreline measurements at Rockerfeller Refuge. A Graphical method, showing transects at different angles that give average rates per year. Governor’s Advisory Commission Wed, Aug 06, 2014 -- 10:00 a.m.